Product prices and availability are accurate as of 2019-03-20 06:09:22 EDT and are subject to change. Any price and availability information displayed on http://www.amazon.com/ at the time of purchase will apply to the purchase of this product. 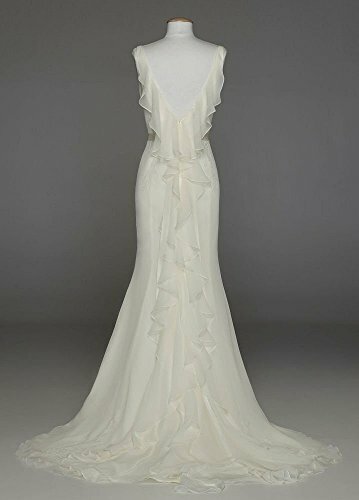 This soft chiffon v-neck wedding dress has all the unique details for any bride wanting to celebrate her style on her walk down the aisle. 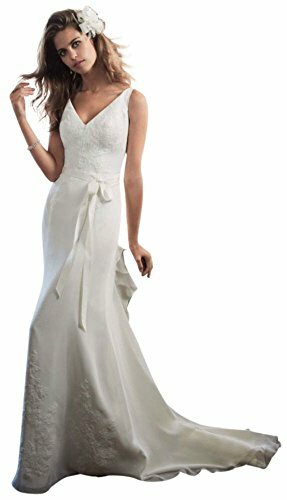 This gown is perfect for any girl who wants to make a memorable statement. 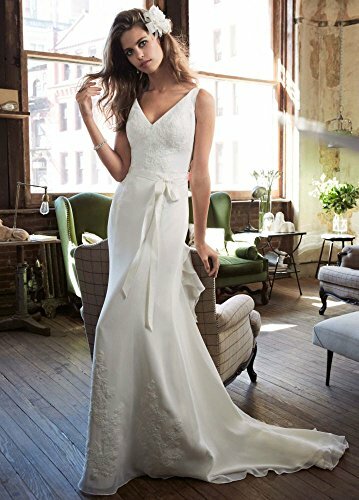 Soft trumpet gown offers exquisite lace applique details and a gorgeous ruffled back for a textured and dimensional look. Sweep Train. Fully lined. Back zip. Dry clean only. Sash not included. Sample Sale gowns are only available online (not available in stores). Sample Sale gowns contain imperfections such as tears in the lining or tulle, or imperfect seams in the skirt, etc. Specific imperfections are not visible in the photograph shown which is representative of the style and design, not the individual dress that will be shipped. Sample Sale product cannot be returned in our stores, however it can be returned within 14 days of receipt following our standard online return policies. David's Bridal stores can provide alterations on online Sample Sale gowns (for a fee), however we will not restore them back to first quality..